Garage door repair services can cost you a pretty penny even for simple fixes. So imagine, if you will, your garage door is almost blown away by a huge storm. That is not a fun topic to daydream about. However, as people in Texas recently found out, it is a possibility. It does not take a hurricane to seriously damage a garage door, either. In the Midwest, tornadoes and wind storms do this regularly. In places like California, you have Earthquakes and more wind storms. Even a stray bolt of lighting can wreak havoc on your garage door, particularly the electrical components. Worse, it is very hard to prevent these natural disasters. Most of the time there is nothing you can do until after the fact. Reinforcing your garage door will only go so far. 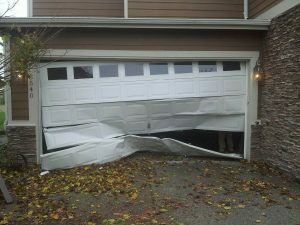 In the event that your garage door is damaged, at all, serious or not, you need to call your insurance company. No, not your car insurance company, your homeowner’s insurance. I know, that sentence makes us all cringe. However, you need the money to pay for your garage door repair after a storm. Chances are that you do not have the money needed to do it. Who honestly plans for these sorts of things? Now your insurance company may have a few requirements for the repairs. Make sure that you pick a reputable company that you can verify everything about. 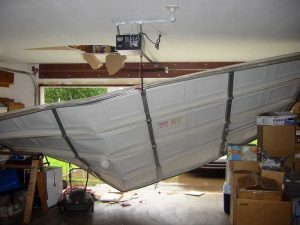 You do not want to get scammed after a nasty storm damages your garage door. Your insurance company will not be paying for that. Proceed to make sure that the garage door repair company is properly licensed and bonded. Make sure you get all copies of warranties and agreements to provide to your insurance company as well as to keep for your records. Furthermore, don’t make the final payment until the job is done and avoid garage door repair services that are going door to door. They will not have your best interests at heart. Avoid contractors and garage door repair services that are not familiar with city codes. It is also wise not to hire any garage door repair company that only accepts cash payments. Never hire a company with only out of state references. If something seems shady, then it probably is. Look for an established garage door repair company like Clarks Garage Door & Gate Repair, who have been serving various cities in the United States for many years. It is easy to find office locations for Clarks Garage Door & Gate Repair near you. 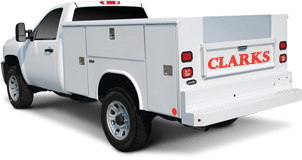 All you really need to do is give Clarks Garage Door & Gate Repair at (877) 622-8183 anytime and they will take care of you right away. They know all the building codes and they have dealt with insurance companies plenty of times before. Don’t let that storm-damaged garage door keep you down.